Thanks for joining us and for those who participated in the Crossroads Annual Chili Cook-Off this past Saturday. 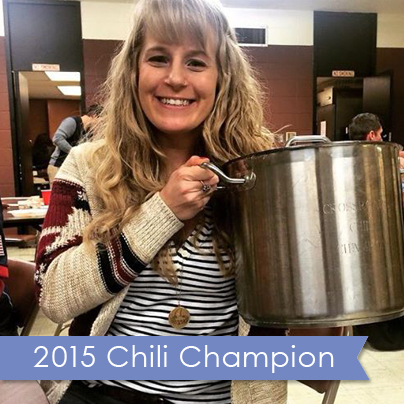 Congrats to our 2015 chili champ, Ashley Groth! She’s going home with the trophy pot! Be sure to ask her about her secret ingredients. To view some photos from the event taken by our Crossroads’ member, Amanda Kirsch, check out our instagram page!